Jackson graduates stayed connected with classmates, faculty, and fellows long after completing their studies. The Jackson Institute’s graduate alumni population includes those who graduated from the Global Affairs degree program and its predecessor, the International Relations program. 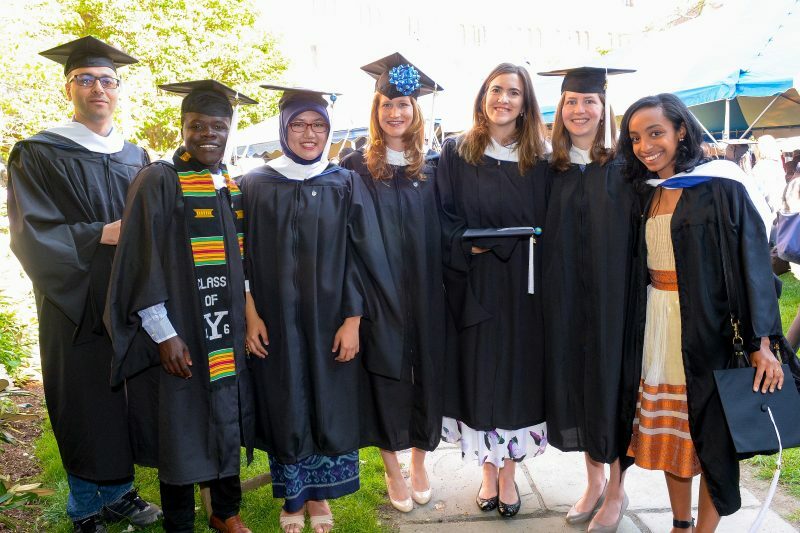 Recent alumni have left Yale to take on positions in the public, private, non-profit, and intergovernmental sectors. In 2018, a sampling of job titles includes regional manager for Africa at the Starr Technical Risks Agency, consultant for McKinsey and Company in Germany, assistant director at the Japanese Government’s Ministry of Land, Infrastructure, Transport, and Tourism, and program manager for Middle East and North Africa at Vital Voices. One alumna was hired as chief speechwriter for the McChrystal Group. See the full list here. Our joint-degree graduates found success in fields that intersected their two areas of study, including roles with Google’s Jigsaw, Ayala Corporation in the Philippines and the Chartis Group. Alumni from earlier classes include the first female UK Ambassador to China, the former U.S. Ambassador to Ukraine, the U.S. Treasury Representative to the EU, foreign government officials, senior private sector chiefs of investment, and researchers. Alumni are an active part of the Jackson community, often returning to campus to mentor students and engage in career planning conversations. Alumni also speak to students during our annual networking trips to Washington, D.C. and New York City.